These are masts with base diameter exceeding 3”, they can be tapered or straight. Maximum length can be up to 45 feet with multi sectional design and construction. Three classes of this product line are available; fiberglass, graphite and a composite of graphite and fiberglass. Please note that graphite adds the advantages of very light weight and very high strength. This product line of masts is considered medium size, have base diameters ranging from 2.5” to 3”, tapered or straight, with length up to 24 feet, single or multi sectional in construction. Available in fiberglass, graphite or a combination of both. These are the smaller size masts with bases ranging from 1.8” to 2.6”, typically a single section construction and lengths up to 14 feet, straight or tapered diameter and available in standard, and customized stiffness design, with both fiberglass or graphite options. For additional information on these masts, please contact us. A variety of booms are manufactured and in stock. These range from 8 feet to 18 feet in length and accommodate all masts requirements. 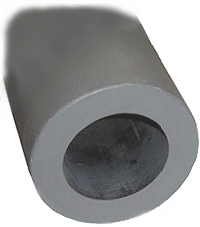 Diameters range from 1.5” to 3” with a wide variety in strength and stiffness. All booms are reinforced at the ends and can be custom reinforced in the middle, where loads are larger. Blue or black colors are optional, and choice of graphite or fiberglass are available. For more information contact Sky-Pole. These are specialty products for NASA and the community of ham radio operators. These tubes are customized for specific uses, with specialty finishes for NASA and telescoping function for antennae masts providing ease in transportation and set up. Applications for this product line are fruit picking tubes, light fixtures, tripods for cameras, surveying equipment, antennas, decorative poles, flag poles, paddle and oar shafts, sign poles, etc. For more information on these products contact Sky-Pole. Custom paddles are designed and manufactured with straight or spoon shaped surfaces. Available in graphite or fiberglass. For additional information on Sky-Pole paddles, please contact us. 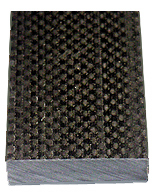 Panels ranging from 1/8” to ¾” are available in both graphite and fiberglass. Sizes vary up to 2 feet in width and 6 feet in length. This product is extremely dense and can be drilled and machined accordingly. This specialty product line includes oval, square, and triangular tubing. Both fiberglass and graphite materials are available for any custom design and size up 20 feet length. 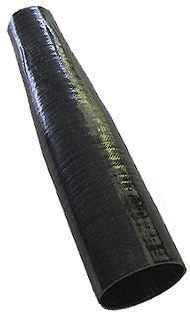 Oval tubing is typically used in paddle shaft applications among others. Contact Sky-Pole for additional information on this line of product. 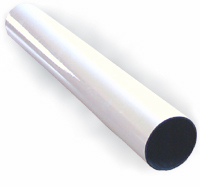 GRP tubes of 1.25”, 1.5”, 2” and 2.5” I. D. with wall thickness of .25 ”. Typically finished with haze gray in compliance with Mil-P 24441. All tubes are Mil-P 25421 type 1, class 1 compliant and will comply to Mil-P 21607 grade 1 upon request. For additional information on these products please contact us. Sky-Pole has innovated a transitional tapered stepping design between different diameter tubing. This design enhances the construction of masts, tubes, and other shapes in both esthetic and functional reliability. For additional information on these designs please contact us.